Bromley's Gary Paffett hopes that team tactics will not decide the outcome of the German DTM title. Paffett leads Bruno Spengler by three points with one race left after the Canadian was helped to sixth place by his teammates in Valencia last month. "There's limits to what is acceptable. At Valencia, they pushed those limits very hard," he told BBC Radio Kent. "There shouldn't be any silly behaviour. Hopefully it's all fair and above board." In DTM, team orders are not permitted but Spengler benefited in Valencia when fellow BMW drivers allowed him to pass, with Paffett having retired after contact with another car on the first lap. The 31-year-old does not want a similar scenario to unfold in Sunday's season finale at Hockenheim. "Me and Bruno should be able to do the best job we can and try and beat each other," he continued. "You'd hope that at this point in the Championship we're not protected, but people are wary of the repercussions." The Mercedes driver has seen his lead in the championship slashed in recent months, compounded by his first non-finish of the season last time out. In June, he led Spengler by 40 points but despite being just three clear entering this weekend, Paffett is confident the Hockenheimring will suit him. "With my form and the team's win rate here, we're full of optimism still. "Mercedes have won at Hockenheim the last six times we've been here. I've won here four times in my time in DTM," he said. 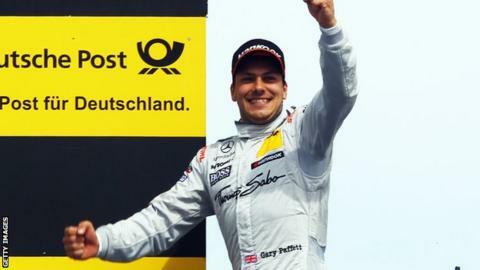 However, Paffett stressed the importance of concentrating on the race, rather than the prospect of his second DTM title. "If you focus too much on just trying to beat one person, it's difficult," he added. "I've been in this position before. I've crossed the finish line at Hockenheim as champion before so I'm hoping to try and do it again."